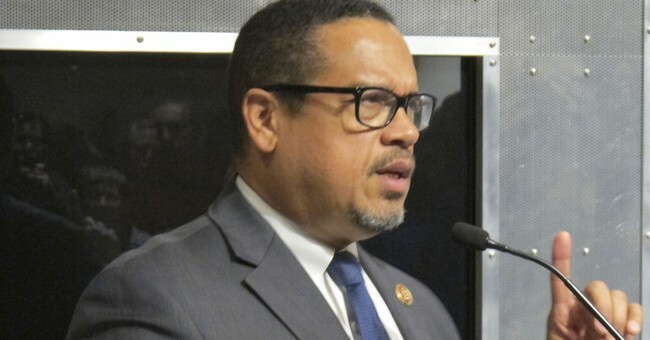 A participant at a Supreme Court Community Forum in Minneapolis this week asked Rep. Keith Ellison (D-MD) a hypothetical: If the Democrats win the November midterm elections and retake Congress, could they impeach one of President Trump's justices? The congressman didn't rule it out. "I will say that there have been lower court judges who have been impeached and honestly there were some things that came out with Justice Thomas that I thought were very concerning to me as far as his impartiality,” Ellison added. "It's probably not going to happen, but it could theoretically happen," he reiterated. Several of Ellison's Democratic colleagues, and a host of liberal groups, wrote off Trump's new Supreme Court nominee before they even had a name. When Trump did finally ask Brett Kavanaugh, who serves on the U.S. Court of Appeals for the D.C. Circuit, to replace retiring Justice Anthony Kennedy, top Democrats like Chuck Schumer rallied outside the Supreme Court pledging to fight the nomination with everything the've got. Their minds had already been made up. A group of red state Democrats declined invitations to Trump's announcement ceremony. Two main attack lines Democrats have been using are that Kavanaugh would vote to overturn Roe v. Wade, the 1973 court ruling that legalized abortion, and that he once wrote a long paper detailing why presidents should be safeguarded from indictment proceedings. "It’s no wonder" Trump chose Kavanaugh, Schumer said, considering Trump has been speaking about against Robert Mueller's "witch hunt" investigation into Russian collusion.